In an open letter to Tesla staff today, CEO Elon Musk announced the automaker is laying off 7 percent of its full-time work force, more than 3,000 people. It’s an effort, Musk wrote, to streamline the company and prepare it for tough times ahead. It can also seem surprising, given Tesla’s blockbuster, profitable finish to last year. In 2018, Tesla also sold nearly as many cars as it had in its entire existence. The Model 3 sedan became the best selling luxury vehicle of the year, handily beating even the SUVs that giants like BMW, Mercedes, Audi, and Lexus build to suit American tastes. That recent success, though, threatens to hide the fact that Tesla is still a young entrant in a brutally difficult industry. As much as the Silicon Valley native is disrupting transport with zero emission vehicles and big promises around self-driving, its core business is building and selling cars. And that’s really hard, even for the established players. Last year, General Motors and Ford announced they would stop building sedans for America, to focus on the more lucrative SUV and truck segments. GM plans to close at least three assembly plants and lay off 14,000 people. Morgan Stanley predicts Ford’s job losses could be worse. “This year will be challenging for all automakers as we are forecasting a dip in new vehicle sales,” says Michelle Krebs, an industry analyst at Autotrader. Tesla already cut around nine percent of its workforce in a round of layoffs in June 2018, but despite that, Musk says staff numbers actually swelled by 30 percent last year. 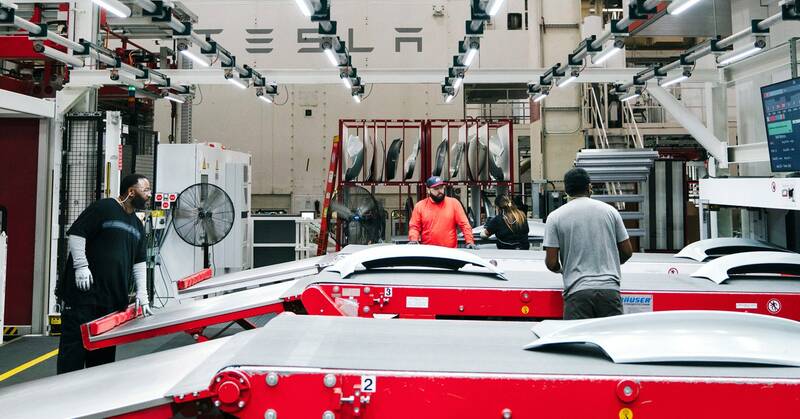 By cutting staff now and finding other savings where it can, Tesla can prepare.